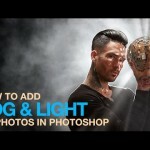 On this video tutorial, Aaron Nace from Phlearn demonstrates how to create an amazing bokeh in Photoshop. You love bokeh but for whatever reason, you captured an image without it? 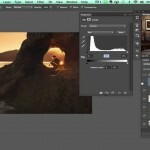 on this video, Nace will show you how you can add those cool blurred light points to almost any image in Photoshop. The basic concept is super simple you need to bring in a bokeh image (you can shoot one or download an image – just be careful about copyrights). All you need to do after you bring in the bokeh image on top of your main image is change the blend mode to screen and you have your bokeh. Of course from here on your have plenty of things that you can touch up to improve the image and make the two images look as similar as possible. 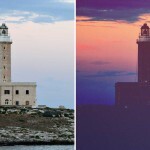 Nace uses adjustment layers and smart filters as well as a gradient map. You can check a couple of other videos on this subject we published in the past one by Howard Pinsky entitled “How to Create Bokeh in Photoshop“ and the other by Nathaniel Dodson “Adding Bokeh to Your Images in Photoshop“.